BERKELEY — “The Manzanar Fishing Club” will be shown this week at two East Bay venues. Thursday, Oct. 4, from 6:30 to 8:30 p.m. at 100 GPB (Genetics and Plant Biology Building) on the UC Berkeley campus. Saturday, Oct. 6, from 11 a.m. to 1 p.m. at Rialto Cinemas Elmwood, 2966 College Ave. (at Ashby), Berkeley. There will be a Q&A with director Cory Shiozaki at both events. The screenings are sponsored by the Asian American and Asian Diasporta Studies Program at the UC Berkeley Department of Ethnic Studies; the Contra Costa and Diablo Valley chapters of JACL; and the Fund to Support Public Education About the Japanese American Wartime Experience. For more information, email [email protected] or call (925) 935-4505. 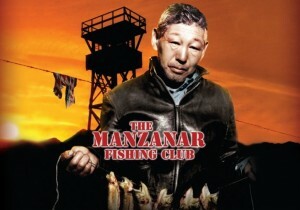 “The Manzanar Fishing Club” is a feature-length documentary that chronicles the World War II internment of Japanese Americans from a unique perspective: through the eyes of those who defied the armed guards, barbed wire and searchlights to fish for trout in the surrounding waters of the Eastern Sierra. By emphasizing the evacuees’ personal stories, it goes beyond the confinement itself and highlights values such as courage, responsibility and cooperation. Interviews with experts provide new insights into the socio-political backdrop of the internment. While larger battles were being fought in the courts, the Manzanar fishermen were exercising their rights on the ground. This is the untold story of those who refused to knuckle under and risked all to go fishing just like other Americans. For more information on the film, visit www.fearnotrout.com.